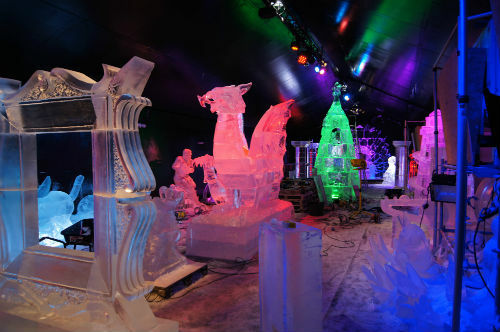 Techne ice was founded by a creative, innovative and dynamic artist (sculptor, model maker, mould maker, decorator) with 20 years of experience, whose work has been showcased at high profile, celebrity events, luxury liners as well as on television and in live carving performance. 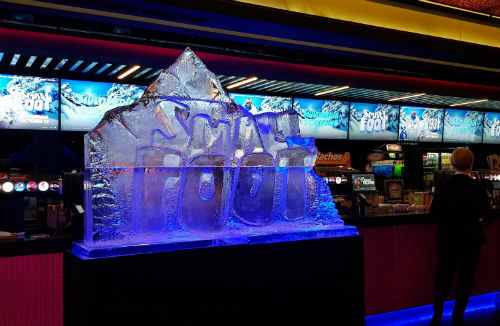 Specialising in thinking outside of the box to produce innovative ice sculpting/ice sculpture/ice structures that provide an accurate representation of the subject. They have acquired a strong reputation within the industry in recognition of our unique style and their ability to produce high-quality work in the tightest timeframes. They spent time with the client, coming up with the perfect concept for the piece. 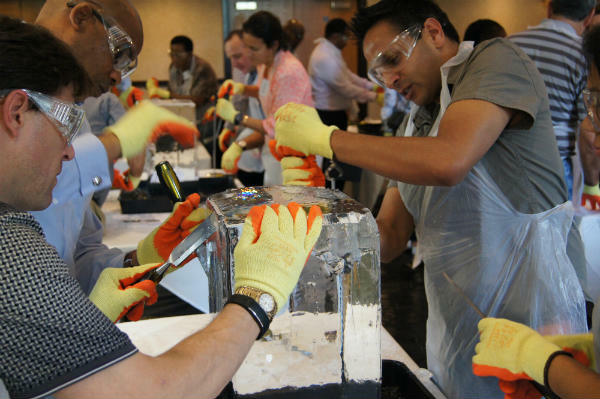 Within two weeks of the initial brief, they were in Delhi, ready to create their masterpiece. 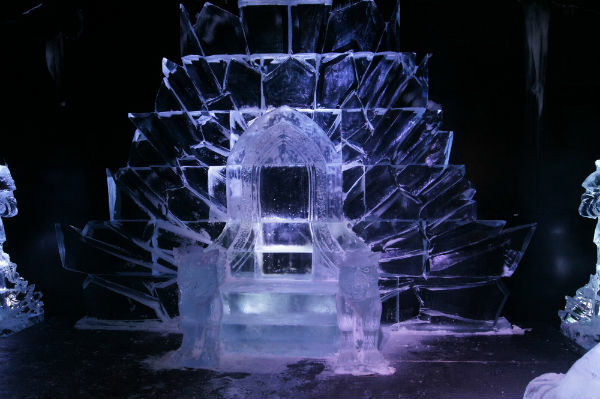 The task wasn’t easy; they had to create a stunning artwork out of ice, 4000 miles away from base and assisted by local equipment and crew. 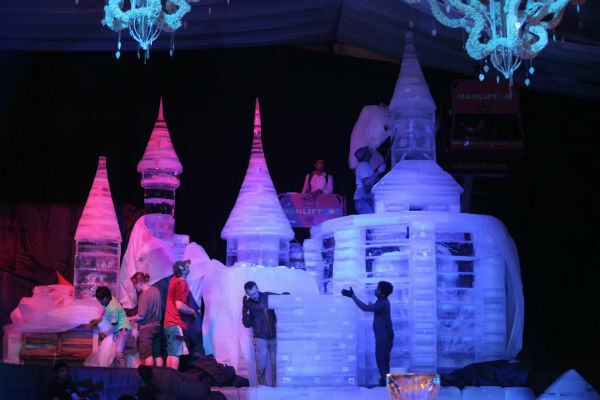 They had only 30 days to complete this massive job which involved the painstaking carving of 900 blocks of ice, each weighting a massive 100 tonnes. On the night, the guests’ breath was taken away by the scale of the castle and its glistening towers and turrets. 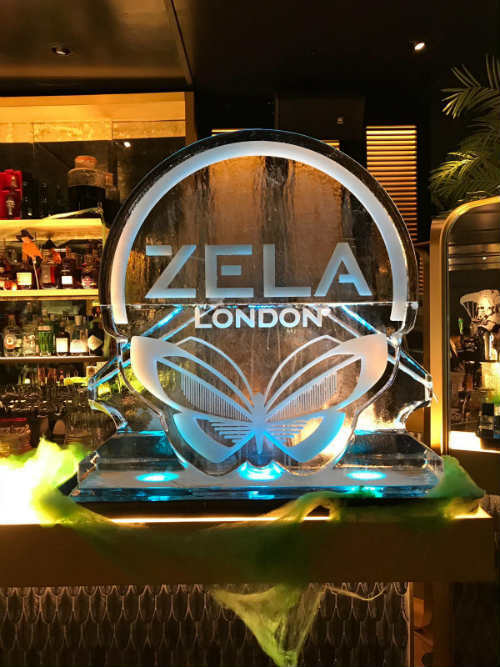 The attention to detail and mastery of the piece made a huge impression on guests including Bollywood stars, singers, sports stars and TV personalities. The size and beauty of the castle gave them a unique experience and one which has left a lasting impression. 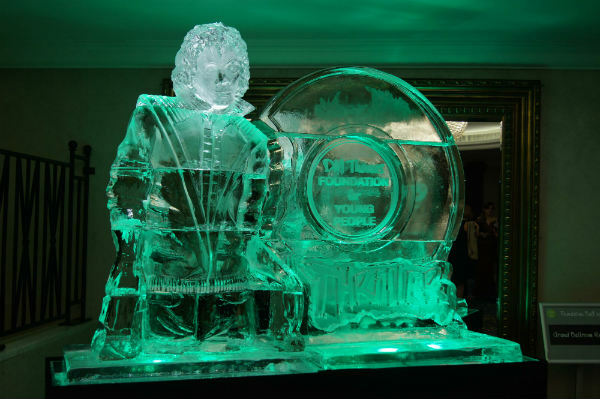 Techne ice are experienced award winning Ice sculptors in UK. 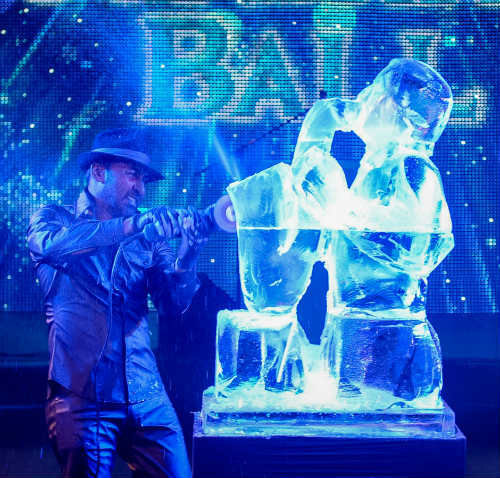 They can provide ice sculptures/Ice structures for corporate events, birthdays, weddings, promotional launch’s, PR etc. Wenistus was absolutely helpful and reactive to our brief! 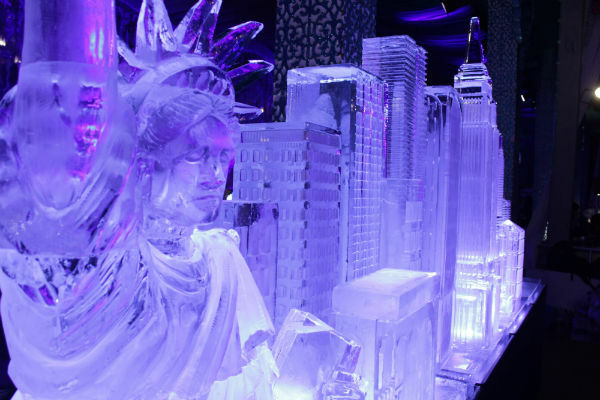 The ice sculpture was stunning! Thank you again for everything! Asange was a pleasure to work with for our event. He was flexible on meeting our requirements, punctual and responsive – everything an event manager needs! And his work was fantastic, the crowd loved it and he clearly loves what he does which makes it even better. I would definitely have him back and recommend him to others.